Miss Pucci (Eau de Parfum Intense) is a perfume by Emilio Pucci for women and was released in 2011. The scent is woody-oriental. It was last marketed by LVMH. I liked the original Emilio Pucci MISS PUCCI, having found it to be a quite decent magnolia soliflore. Unfortunately, I am not having such luck with MISS PUCCI INTENSE, which one might have thought would simply be a stronger magnolia soliflore--but it is not, at least not to my nose! 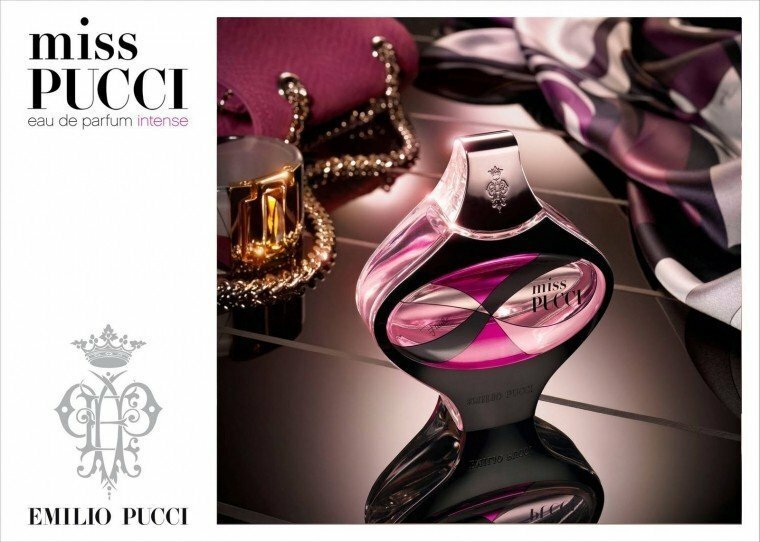 MISS PUCCI INTENSE opens with a sugary citrus accord similar to some of the Fresh SUGAR perfumes (I'm thinking especially of BROWN SUGAR) and also Giorgio Armani ACQUA DI GIOIA (not GIO). From there, however, things start to get complicated. There is a smooth creaminess which initially smells rather appealing, but as it develops, it starts to remind me of acrylic--as in acrylic paint, or perhaps acrylic which has been just molded into some shape and is in the process of solidifying. By the drydown, I'm on the verge of a headache, having yet to catch very much magnolia at all. There is a slightly sweet jasminish accord (hedione?) which overlaps a bit with Dior PURE POISON (also a headache inducer in me...). In the end, MISS PUCCI INTENSE does not work for me, but I've seen some positive reviews, so this is clearly a "your mileage may vary" therefore "try before you buy" creation! Write the first Review for Miss Pucci (Eau de Parfum Intense)!